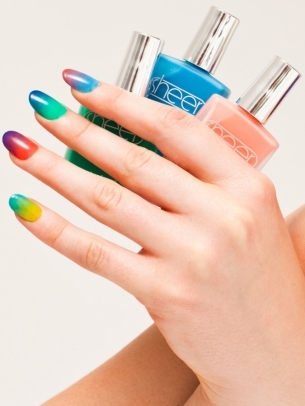 American Apparel Sheer Nail Polish Summer 2012 Collection. 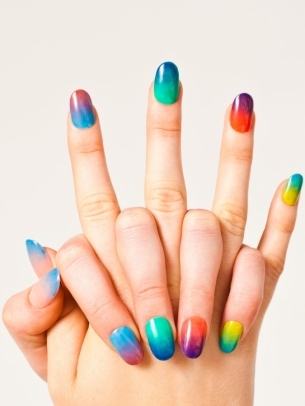 Fabulously lacquered nails have become a requirement for all fashionistas this year, so if you're ready to make your nails steal the spotlight, draw inspiration from American Apparel and use the brand's sheer nail polishes for summer 2012 to create innovative nail art designs that are all about you! The new season has underlined the importance of perfectly polished nails, so no wonder that nail care brands are transposing their wildest ideas into reality with their latest nail polish collections as innovative pigments that stand out from the crowd have always been a magnet for nail and beauty enthusiasts. One of the latest collections that caught our eyes when it comes to fab nail color pigments is American Apparel's Sheer nail polishes, a collection that brings unique, beach-inspired pigments. 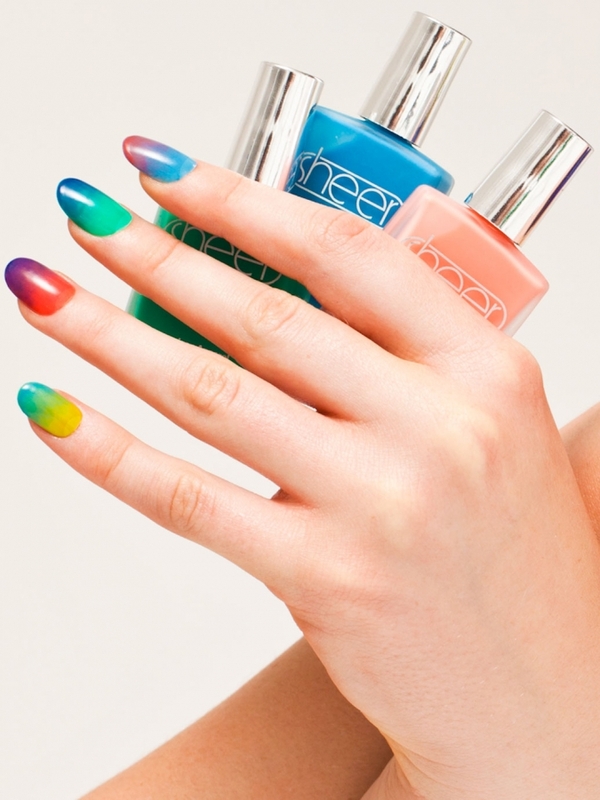 American Apparel proposes to make the best out of all its sheer nail polishes by creating a fun and colorful ombre nail art design. To achieve this look apply a few drops of your fav nail polish on a non-absorbent piece of paper and dab the color with a piece of sponge prior to press the sponge to your bare nail, close to your cuticle. 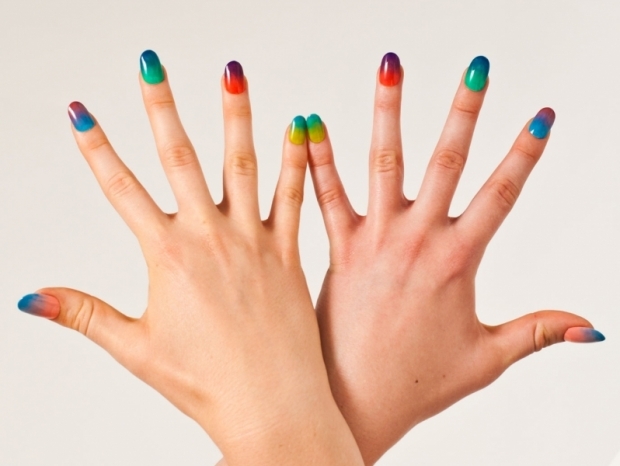 Coat all the desired nails before switching to a different nail polish hue. Apply the second color slightly over the first one to achieve a cool transition nuance that will leave your nail polish design looking fabulous. Continue with all the shades until you've achieved the desired multi-chromatic effect. 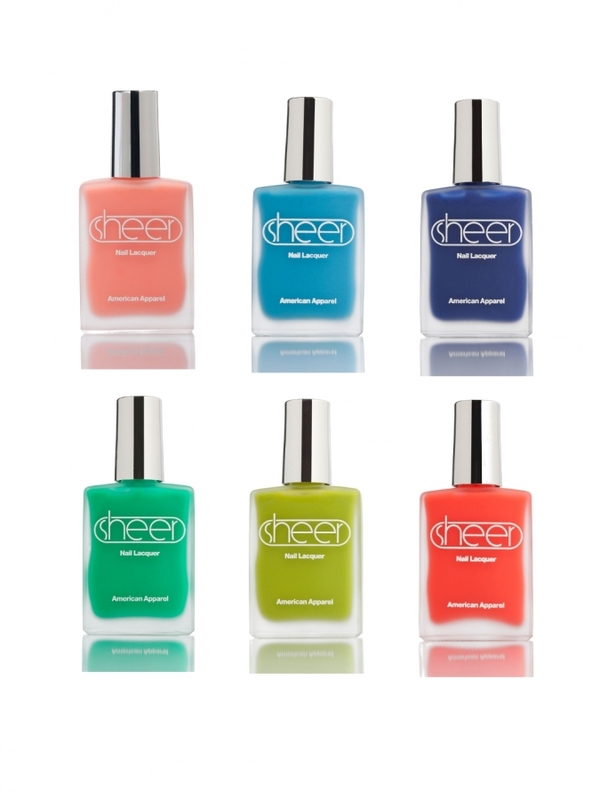 American Apparel Sheer nail polishes retail for $6 each, so grab on to your favorite hues and mash-up the colors to suit your personality and style!